I love reviewing our pictures to see where we've been, what we've done for the month. I usually just visit my Picasa Web Albums. Today I decided to put the whole album into a blog post to review the month. Here ya go. The Escapade is the rally for Escapees – an RV club that has been around quite a long time. This is the third one we’ve attended. It’s in Gillette, Wyoming at the Cam-Plex. This is a new, wonderful facility. So much better than when we have to give our seminars in the Cow Barn at a county fairgrounds! We got here early to give our hands-on Computer Boot Camp class. We called it Camp Reboot to distinguish it from the RV Boot Camp that is always part of the pre-rally learning going on at the Escapade. As Geeks on Tour, we like to concentrate on teaching things like managing your digital photos, making Blogs, and using Mapping software. We call it teaching travelers how to Plan, Preserve, and Share their travels. We actually shy away from teaching computer basics. Believe it or not, that’s a lot harder to do in a classroom situation. Every person is different in what they know or don’t know. But, every once in a while, we offer our ‘Computer Boot Camp’ class where we try to fill in the holes for people who learned computers on their own and don’t know the fundamentals. Here at the Escapade, we had a full 12 hours – spread over three days to teach the class. We had 14 computers, 20 people (couples shared a computer) and it went very well. I wrote more details about it in our business/Geek Blog, see Escapade Camp Reboot. Here’s our site … pretty special in that we have full hookups (including sewer) *and* 50amp electric. That’s unheard of at a rally! Ok, time to go and teach our ‘Every RVer Needs a Blog’ class. We came here at the invitation of John and Kathy Huggins of LivingTheRVDream, and we had a great time getting to know them better. John and Kathy produce a weekly podcast about RVing. 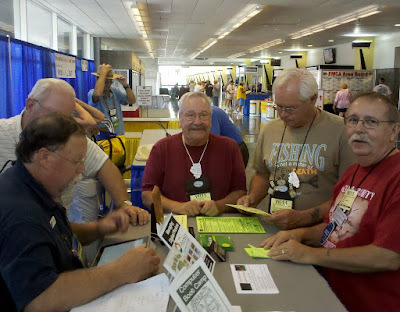 We first met them back in January at the RV Supershow and they interviewed us for their show. 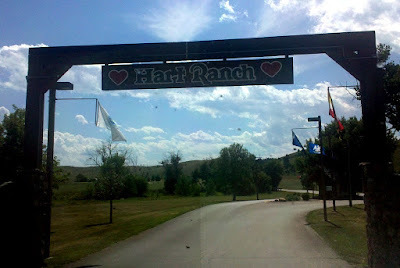 We spent a week at Hart Ranch and had a great time. 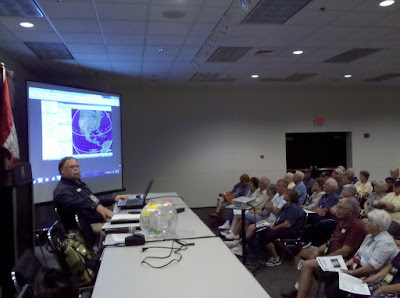 We presented a couple of seminars while we were there, and several people showed up to participate. We took advantage of the pool and hot tub a couple of times and ate at the on-site restaurant a few times as well. One night we met up with friends Orv and Nancy Hazelton who we haven’t seen since the last Gypsy Journal Rally. We also enjoyed happy hours several evenings. You’d think that, in this traveling lifestyle, you’d always be far away from anyone you know. But, if you do it long enough, you find a traveling community that is so large, there’s always someone you know nearby! We had a couple of dinners with John and Kathy. We had fun showing them how to make a blog on their iPad using Blogger. First we had them use one of our computers projected onto our big screen in the living room, so we could all see the same thing and teach them how. It was cool to have a classroom right in our motorhome! Then we had Kathy use her iPad and see how blogging can be done on that. Next, they showed us some of their cool equipment for recording their podcasts, and they interviewed us again for their next episode. I’ll post a link here when it’s ready. Their Four-Microphones-in-one device, called a Zoom, worked so well that Jim ordered one for us. There may be podcasts in the Geek’s future! 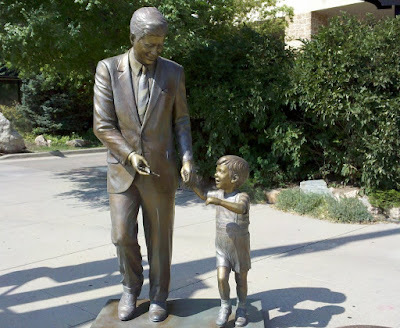 John F Kennedy, and John Jr.
That’s a nice town … Rapid City. In the summertime anyway! When we got back to the rig, Jim decided to wash it. 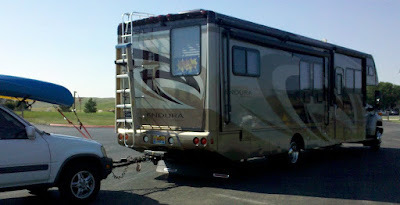 Hart Ranch is one of those rare RV parks that allow you to do washing at your site. I helped … I took his picture. I so enjoy watching him work! Hart Ranch allowed washing! The only RV park all summer that did! So, here’s our nice shiny rig ready to hit the road for Gillette, Wyoming and the Escapade. Our clean shiny 'Big Boy' ready to hit the road again. We’ll be teaching our ‘Camp Reboot’ Friday, Saturday, and Sunday; then the rally starts on Monday. We hope to see a lot of you there. If you’ll be there, stop by our booth – yes, we actually have a booth at this one – I don’t know what number yet, but we’ll be there. If you wanted to take our ‘Camp Reboot’ and you couldn’t make this one, it’s on our schedule one more time this summer – at the Gypsy Journal Rally in Celina, Ohio on September 23. For more details see our Computer Boot Camp page. It is really a very useful class for people who didn’t have computers in school. We know that most people are using computers now; they know how to turn it on, they know how to connect to the Internet and send emails. The boot camp is not for complete beginners. But it’s not for advanced users either. It’s for that majority of adult users who are somewhere in between. Our aim is to fill in those gaps in your knowledge. What are those keys on your keyboard that you never use? Why does the screen go blank in Windows 7 and then suddenly reappear? How do I backup my files to an external hard drive? What do I need to install to keep my computer secure? Those questions and many more are answered in our class. Check it out on our Computer Boot Camp page. .On our way from the FMCA convention in Madison, Wisconsin to the Escapade in Gillette, Wyoming we're passing thru the Black Hills in the southwest corner. We were here in our first year of RVing - 2004. We were looking forward to seeing Mt. 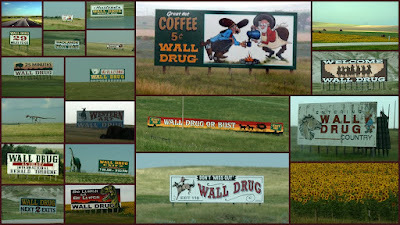 Rushmore again, and we made sure to stop at the famous Wall Drug this time around. We're staying at Hart Ranch RV resort at the invitation of John and Kathy Huggins from LivingTheRVDream.com We're also giving a couple of our seminars while we're here. We have plenty of work to do in order to be ready for the Escapade, and we have lots of catch up work to do on our website and email. But, I was determined we were going to take a hike one day. We picked Saturday, and it was a great choice. Beautiful day, beautiful hike. We drove past Mt. 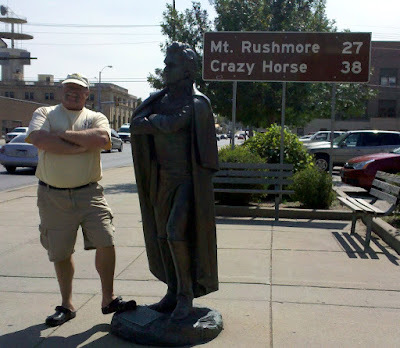 Rushmore into Custer State park and hiked the Harney Peak trail. We did almost 8 miles with 2,500 feet elevation gain. I was dragging by the time we were done, but my arm probably hurt the most from patting myself on the back! First of all, we have a wonderful home to live in. Every morning we wake up in our oh-so-comfortable bed, we have to look around at our luxurious surroundings and pinch ourselves. It’s hard to say what is the best part of this lifestyle, but for us anyway, just being on the open road is a big part of it. The powerful engine sound and the hum of the wheels on the pavement. 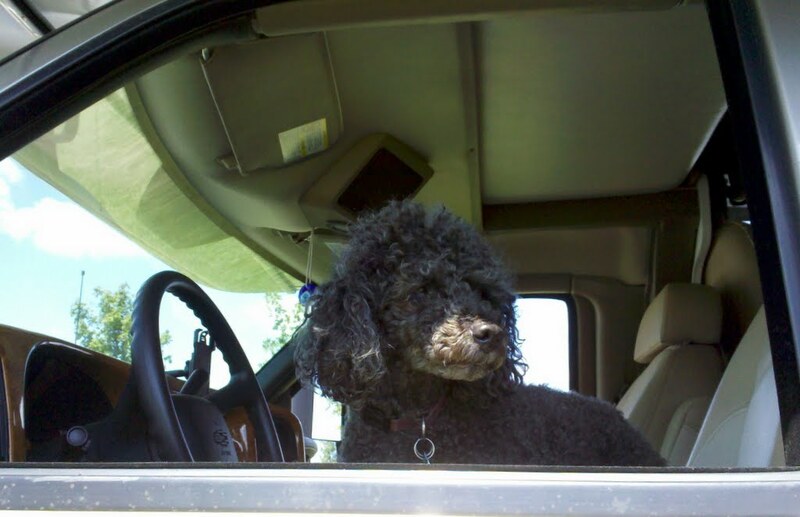 Jim likes to drive – especially our new diesel – and I’m happy to let him because I love to just sit and watch the scenery go by while I daydream. It’s my time off. Time off from what you ask? Well, that’s the other *best* part about our lifestyle - our work is on the web. We officially started our www.geeksontour.com business in 2006 and people have been opting in to our email lists ever since. Yesterday, before getting on the road, I sent out an email to our current list of about 7,000. I told them about a review that was recently written about our Picasa book – it was very complimentary. I wrote that the ebook is currently available for only $10 – including access to 25 tutorial videos. That’s way too cheap, and someday soon we will raise the price, but it seemed a good marketing thing to do to make one last push at the cheap price. After sending the email, I turned off the computers and stowed all loose objects in the RV. We pulled In the slides, raised the stabilizing jacks, and drove away. By the end of the day when we pulled into the next RV park for the night, we checked our PayPal account and we had made enough money to cover our fuel costs from Madison to Gillette. Life is SO good! What was more surprising was the number of people who ordered the printed book at $29. So Jim had to work all evening, printing, binding and packaging a dozen books. Today we need to find a post office because some of the books need to be shipped overseas – we had orders from New Zealand, Australia, England, and Canada. 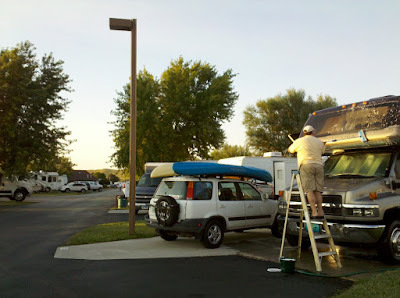 It is just so amazing that we’re operating an International business from our motorhome while traveling the country. If you want to read a little more about our business, here’s an article from last year that was written in Forbes.com. 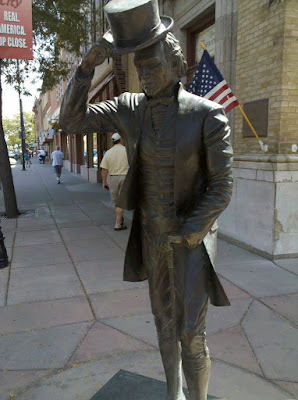 In addition to driving down the highway, and making money, we also did a little sightseeing yesterday. I can never resist taking pictures of windmill farms. They are such huge, yet elegant structures. The murals really are made of corn cobs. 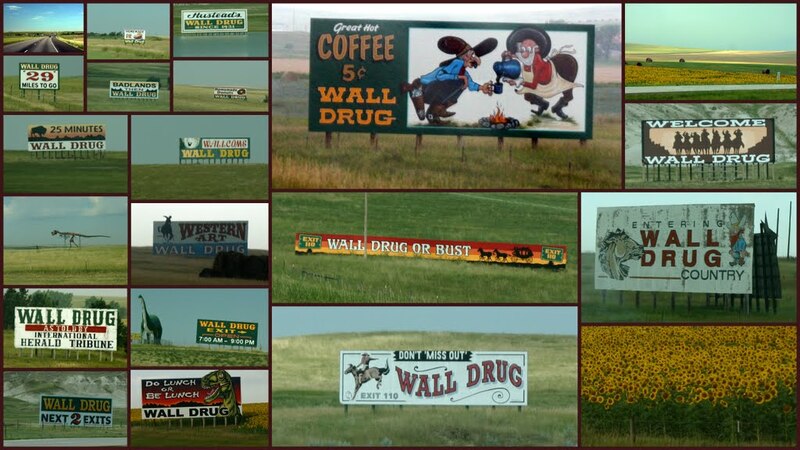 We were told that there are hundreds of acres of corn planted *just* for making these murals. The different colors are specifically grown right in the area. And, in the parking lot for the Corn Palace, we saw a motorhome with an FMCA logo in the window. As we walked past toward our rig, we wondered if maybe we knew these people. Within a couple minutes, we heard our names shouted behind us – it was Linda Ballard and her husband. Linda attended many of our seminars at the Madison rally and joined our membership site. Her husband, Wayne?, said he’s been on our email list for quite some time. 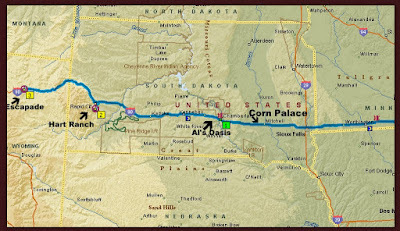 We’re both headed toward the Black Hills around Rapid City, SD. We may just run into them again! Part of our family on the road. Back on the road, when we came upon the Missouri river it felt like a good time to stop … it was about 4:30. 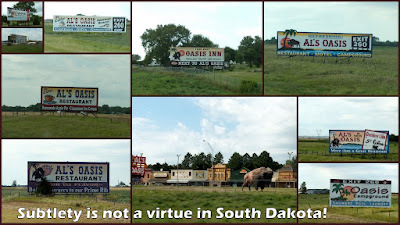 Besides, we’d been bombarded with signs for ‘Al’s Oasis.’ It is THE place to stop. We stopped, connected to the park’s pretty good WiFi, and started answering emails and printing mailing labels! There you have it! A perfect day for us. Living on the Road and Working on the Web. Our Truth *is* our Fantasy. What a great week! And, we are about as exhausted as you can get. Google Earth - our last seminar. Given to standing room only! 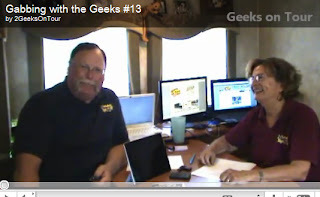 We gained about 40 new members to our Geeks on Tour Learning Website. We call that a very successful week, but probably the best part is all the people who renewed their annual membership! That tells us that they feel they’ve gotten value from their membership – enough so that they want to pay us more! And that’s a *very* good thing, as we have a lot more fuel to buy to get us to our next two rallies, and make the payments on our new RV! Jim showing off his new toy (iPad) to the boys! We also gave two hands-on classes at this rally. Photo Editing with Picasa. I thought they went *really* well. Hands-on is really the way to learn. The tough part is finding enough time for hands-on classes. This Photo Editing class was the brainchild of the seminar coordinator for FMCA – Chris Lusk – and it was brilliant. We weren’t teaching all about Picasa … just the photo editing part. I hand-picked some sample photos and each student got a thumb drive with those photos. We went thru each photo, and used the editing commands that made that photo look better. Reall hands on training, and it actually worked in a 2 hour format … although 3 hours would have been better! Our most popular seminar this time was Facebook – over 400 in attendance – it even surpassed Picasa. It’s so interesting to watch this over the years. We started out at FMCA *only* teaching Internet on the Road, and even after we added other topics, that was still by far the most popular. Now, our Internet on the Road seminar is the least attended. Such is technology – most people just buy an aircard from Verizon and they’re done with it. Besides teaching our seminars, the only other activity I did was to be available at our information table. Jim snuck out to watch one other seminar … the GPS navigation with the new Rand McNally TripMaker RVND 5510. He came back acting pretty excited. Maybe I’ll get him to write a post about it. 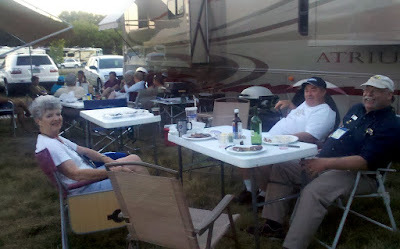 One night we took advantage of being members of the Gulfstream RV chapter and attended their steak dinner. So nice not to have to cook! The rally ended Saturday. Sunday we spent the afternoon with Phil and Tracey of TechnoRV. Beer tasting after a rally seems to be developing into a tradition with us! 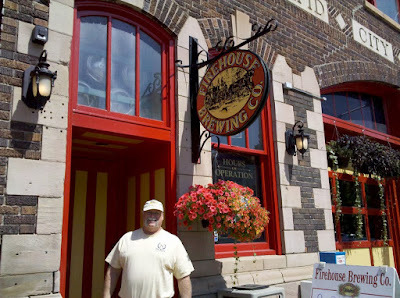 And there was definitely good beer available in and around Madison, Wisconsin! 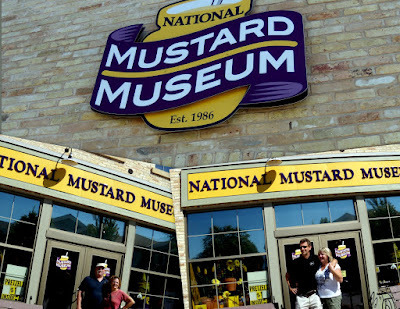 Maybe the best part was a visit to the National Mustard Museum! Jim and Chris, Phil and Tracey at the Mustard Museum. Good Stuff!! And, we’re having fun talking about our planned Techno-Geek Learning Rally! Next up is the Escapade 'Camp Reboot' in Gillette, Wyoming. And, our last rally of the season is the Gypsy Journal Rally in Ohio. Now, we've traveled here before, so we didn't expect much. We knew that Chicago can be really tough, but we were there on a Sunday so we thought traffic would be light enough to take the direct route right thru the city. It took over an hour to get thru downtown. Then it started pouring rain. Sunday was a tough travel day for me ... and I wasn't even driving! But we finally made it, and we have a really nice site at the Lake Farm Park just a couple miles down the road from the convention. We watched the cranes fly overhead this morning. And took a walk down the path that is mowed thru the fields and woods. Then came a steady stream of visitors - other folks who we see every time we're at an FMCA convention. They're calling this convention a 'Family Reunion' and, yep, that's what it feels like! Even Odie had visitors. And, we're just so happy to show off our new home to everyone. We can be so much more social when we have places for people to sit! Ok, now it's time to get some work done in preparation for the Rally! After a long day on the road - and over $35 in tolls - we're right back where we started from over 2 weeks ago! Thousand Trails in Kenisee Lakes Ohio. Then we're off tomorrow to stay a couple days at another Resorts of Distinction - Erie Islands. Our membership expires at the end of August and we can't renew it because of some dispute between Thousand Trails and ROD - so we're trying to get whatever value we can in the time left. 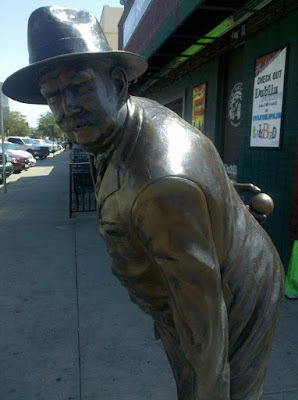 There's a surprising number of ROD parks in this section of the country. Then we're off to Madison, Wisconsin for the FMCA convention. We're presenting 9 different seminars, plus 2 hands-on Picasa workshops ... our complete FMCA schedule is on our website. And .. 2 of the seminars will be Webcast Live. You can watch online for free, just go to this FMCA Seminar Webcast site. And, here's our latest Gabbing with the Geeks. See how Chris makes her laptop act like a desktop in her new office. And see Jim's new toy ... hint: it's a little fruity! Our Streets and Trips program shows us our membership parks in large icons. Bass Lake is the park where we are, and it's very nice. We took advantage of the restaurant/bar that is right across from our site .. how convenient! And, good food too. The portions were big enough that one dinner fed us for two days - so two dinners out, and we only had to cook 3 more to make it one week! 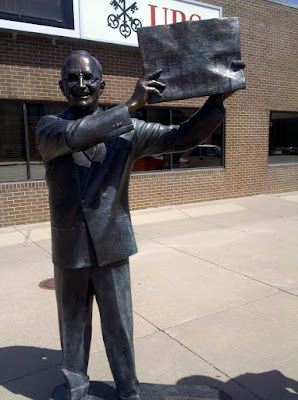 We were here to work on our websites, and to prepare for the upcoming FMCA convention in Madison, Wisconsin. One of the things we accomplished was writing and sending our July newsletter - if you're not on the list, you can read the newsletter on our website. There's some really good tips in it for computer tools that enhance the traveling lifestyle. We have to take a couple of outings to see the area though! Since we're right near Lake Ontario, we decided to take a drive one afternoon to the couple of State Parks nearby. Selkirk Shores, a New York state park. Be thankful that the picture isn't scratch-n-sniff! There was quite a stench, I think caused by whatever that thick green muck was that was in the water lapping on the shore. The beach was closed ... we were told it was due to budget cuts. Our site at Bass Lake Resort - the restaurant/bar is in the red building. It is really so pleasant right here at the resort, why go anywhere? Over the weekend the park filled up with families - probably from Syracuse. I love seeing the kids enjoy the outdoors and the carefree lifestyle that is afforded by these kinds of parks. Lots of activities too - karaoke, dancing, bike riding, kayaking etc. And parents get to let the kids roam free - without worries. It's a private park, and any roads are far away. I can't believe we've been here for 6 days already. I've just had my nose in my computer - cleaning up websites (a never ending job), and writing articles. Now that we have Facebook for posting small snippets more often, I find that I don't write blog posts as much. All our pictures still get posted to our Picasa Web Albums though. That's what's in the header bar of this blog - if you click where you see the bar of little pictures, that will take you to our Picasa Web Albums where you can view all the pictures.